Need a Raisin to Drink Gin? I’m not a gin drinker. If I have to drink the hard stuff, my liquor of choice is vodka (straight up with two olives, please). Gin is just not a taste I’ve ever cottoned to. Still, when my workout buddy Robin, a nurse by day, said her solution to arthritic finger and thumb joints was gin-infused raisins, I was all ears. Fruit and spirits sound way better to me than mega doses of ibuprofen. And I’m hoping the combination works better than the turmeric I tried but gave up on after three months. Gin and golden raisins could be the ticket. I now have a raisin to drink gin! 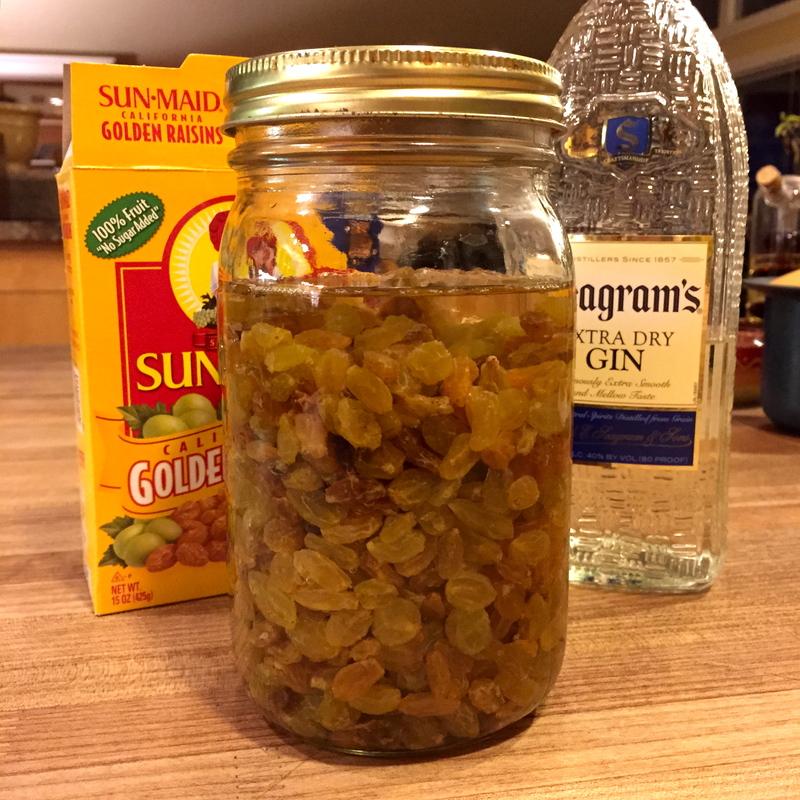 Robin suggested pouring the contents of one box of golden raisins (has to be golden, she said) into a mason jar, cover with gin (any gin, just go for cheap), and let the raisins soak up as much gin as possible. Then she said to eat NINE raisins nightly (nighttime is better, she said; that way your gin breath won’t alarm people). She is tiny, I’m not, so I ate ten raisins (and they actually tasted pretty good). Another woman, also a workout friend from the Fitness Garage, scoffed at only nine/ten. She splurges on a big spoonful and considers it dessert. Both said it worked for them. Robin’s been eating nine gin-soaked raisins every night for years. No arthritis. Vicki is a more recent convert. No arthritis. Both travel with their special raisins and had some tips for getting past the TSA guys. My fingers are crossed (because there is no arthritis there). Maybe soon I’ll be able to cross my hips! 7xs what of Omega 3? I take Omega 3 tablets… (2000mg of salmon oil and 520 of other O-3s), plus some 5, 6, 7, 8 and 9. And some fatty acids. And some astaxanthin.